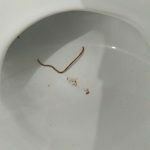 Is Small Red Worm Found in Toilet Parasitic? This is the first photograph she sent us. 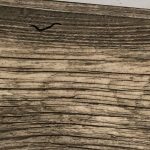 Although she also described the worm very well, the picture is extremley helpful because it allows us to rule out our suspicion that the creature might be a bloodworm. Bloodworms, or midge fly larvae, are tiny red larvae that readers discover in their toilets on a semi-regular basis. 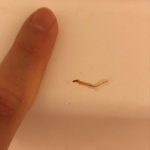 Although both a bloodworm and the creature our reader found are small and red, the one our reader found is shaped much differently than a bloodworm. So, if the specimen isn’t a bloodworm, what is it? 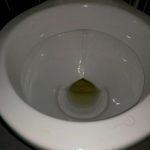 The next picture our reader sent is of the entire toilet bowl. It is also useful because it emphasizes just how tiny the specimen is. We aren’t sure what this creature is. We aren’t even sure that it is a worm or larva! 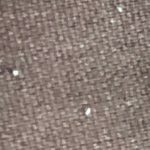 We think there is some possibility that it is a tadpole, which is the general name for the larval stage of a frog or toad. 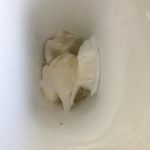 Although we don’t know what our reader has found in her toilet, we are confident that it isn’t a parasite from a human. Of course, we aren’t medical professionals so if our reader or her roommates are experiencing any symptoms or worried about their well-being, then they should see a doctor as soon as possible. 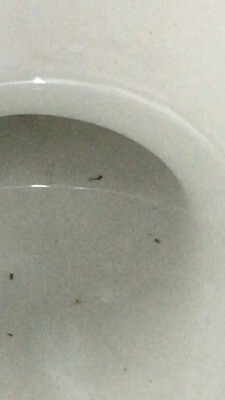 In conclusion, one of our readers discovered a minuscule red specimen in her toilet. We aren’t sure what the creature is, but we don’t believe it is a parasite. 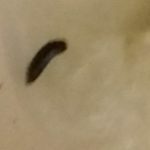 If any of our other readers recognize this organism, we encourage them to comment below! 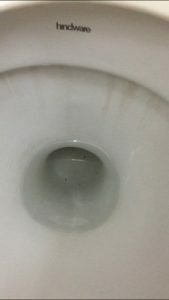 One of our readers discovered a minuscule red specimen in her toilet. We aren't sure what the creature is, but we don't believe it is a parasite. Is Worm in Toilet a Parasite?